When they saw Nie Yan disappear, Clear Sky and his men felt their hearts tighten. With his ability to hide under stealth, Nie Yan was undoubtedly worthy of his reputation. Trying to keep track of him was truly a difficult task. This was the Mad Rogue, after all! If he took action, he definitely wouldn’t fail! “Everyone, attack!” Clear Sky roared. His men charged at their enemies, but he was still worried. Nie Yan’s abrupt disappearance left him rather unsettled. He couldn’t help but suspect that Nie Yan was coming after him. Clear Sky had hundreds of Azure Falling Sky players in close formation around him, creating a solid line of defense. Plus, Clear Sky himself was in the densest part of this massive army. Even the Mad Rogue wouldn’t be able to threaten him here! The Azure Falling Sky players nervously called out for skills that would reveal a player in stealth. Rays of light pierced through various parts of the battlefield as they tried to locate Nie Yan. A Priest noticed an approaching silhouette five meters away from himself, but had no time to react. His comrades didn’t notice a thing as the shadow passed by him. He felt a dagger stabbing into his throat and reflexively jumped back in horror. Terrified by the thought of having lost his life just now, the Priest instinctively grabbed at his throat, finding neither the dagger nor the blood he was expecting. His throat was fine. It was just his imagination fueled by fear. The dagger had swiped within centimeters of his throat as Nie Yan passed by. Nie Yan had missed on purpose to scare him as he brushed past. Had he really attacked, then his stealth would’ve broken. This intimidation tactic proved to be extremely effective. The Priest, despite having noticed him, didn’t dare to wantonly draw attention to Nie Yan. If the Mad Rogue was irked by him, he could die without ever seeing where the attack came from! Nie Yan threaded through dozens of players in a blur. He flashed by so quickly that none of them even had the time to breath, much less attack. His speed reached frightening heights as he left the Azure Falling Sky elites he passed far behind. This was the speed of a Shadow Dancer! When one’s speed and evasion reached a certain point, they would form a certain resonance. By complementing each other perfectly, both would soar to even higher levels! This was the ultimate manifestation of the system’s data. When an object was in movement, it could enter a state of resonance. The system used its unique method to simulate a virtual universe that closely resembled reality. The laws of physics within were all determined by its calculations. Gravitational acceleration, kinematics, the rules of magic, and even one’s strength, intelligence, and dexterity all followed the directives of the system. Additionally, it even defined an extremely rich history, the detailed Atlanta Continent, and the rest of the game’s universe. This was the mesmerizing world of Conviction. When a player advanced into their ultimate class title, they would have an opportunity to comprehend the natural laws of this virtual world. All these laws were manifested from immense amounts of data. After comprehending these laws, you could utilize the virtual world’s data to bring about absolute power. Where a regular player might only be able to add two statistics to show off their powers, an ultimate class player could use a connection between the two in the laws in order to multiply those statistics. These multiplications would result in far greater results than mere additions could possibly achieve. Different classes would unravel different mysteries. Warriors pursued the peak of strength, Mages sought the greatest magic resonance, Paladins prayed for the holy light, and Shadow Dancers moved toward ultimate speed. An expert player had to calculate the most optimum method with data! Only by using data could you maximize your power! This was the mystery Nie Yan had comprehended about Shadow Dancers! Nie Yan, having sidestepped another line of Azure Falling Sky players, closed in on Clear Sky like a shadow. The feeling of speed transforming into more under the soles of his feet gave him a sense of satisfaction and fulfillment. However, even after comprehending the skills of a Shadow Dancer, there were still higher mountains to climb. Nie Yan recalled the videos he’d seen of Shadow Dancers running rampant in the past. One after another they flashed through his mind, their footsteps superimposing onto his own as he ran. Nie Yan suddenly recalled a move the Shadow Dancers of the past liked to flaunt: Dance of Death! While running swiftly, they would lighten their breathing and perfect their hiding. While the opponent was still completely unaware, they would strike from behind to deal massive damage! Just like the scythe of Death, quietly reaping the foe. Nie Yan slowed down a little. Although he was no longer running at top speed, his movements became more erratic and evasive. A couple of Paladins saw a faint figure with their Eyes of the Divine. Activating Indomitable Will, they moved forward to intercept him. However, by the time they had taken their first few steps, they found they were no longer looking at their target. By the time they charged over, he was long gone. Nie Yan smirked to himself as he easily escaped the Paladins’ vision. Clear Sky himself activated Eyes of the Divine as well. From the corner of his left eye, an indistinct blur registered about sixty meters. When he turned his head to look more closely, it was already gone. Having seen that Nie Yan still had to cross such a large distance layered with Priests and Paladins, Clear Sky looked away as his shoulders loosened a fraction. Just as Clear Sky relaxed, one of his subordinates gave a startled shout from the right. A figure could be seen ramming through Azure Falling Sky players on his way towards him. Aqua Smoke Stub’s eyes flashed murderously as he advanced with his twin greatswords in hand. Damage values exceeding five hundred blotted out the sky. The swords murderously struck as Smoke Stub’s violent momentum slammed him into player after player. The Warriors struck by his greatswords were knocked back, afraid to come near him. None of them had enough health to tank another blow. Behind him, Cold Peak Absolute Blade and Wood Grace cleaned up the stragglers without mercy. Blood splattered all over the place as the two of them finished off everyone in their path. Ball after ball of fire fizzled out on Smoke Stub’s body, swiftly draining his health. However, the heals from behind came just as quickly, bathing him in rays of white light. The matter of Smoke Stub’s survival was really just a race between Azure Falling Sky’s Mages and Withered Leaf’s Priests. Withered Leaf’s Priests clearly held the lead. Their heals made the enemy’s spells look weak. A single Priest could cover the damage of three, sometimes even four Mages. Because of this, they managed to maintain a solid advantage. 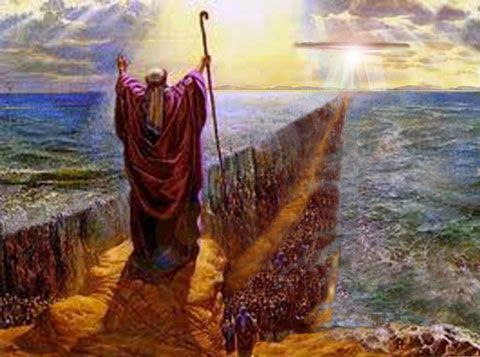 Azure Falling Sky players parted like the Red Sea before Moses as they cleared out of Smoke Stub’s way. Anyone who tried to stop him got simply shredded! Out of nowhere, a few Warriors wearing Gold armour sets held up Cold Peak. A barrage of spells blasted his health to smithereens while Withered Leaf’s Priests were all focused on Smoke Stub. They didn’t notice his plight until it was too late. He was blasted off his feet and crashed into the ground. Cold Peak was one of Withered Leaf’s best players, as well as a good brother to Smoke Stub. Seeing his close friend die just like that, Smoke Stub became even more enraged. Smoke Stub smashed through another dozen people trying to surround him, continuing his onslaught. “Boss, I got this group!” Wood Grace yelled as he rushed toward the next half dozen Gold-clad Warriors in a nigh-suicidal attack. Clear Sky’s right there! Having just slaughtered a path through the heavy encirclement with incredible momentum, Smoke Stub sprinted the final stretch toward Clear Sky. Seeing Smoke Stub in front of him, Clear Sky felt no fear whatsoever. He buffed himself with a few blessings, increasing his stats and greatly boosting his damage reduction. He raised his sword, ready to take on Smoke Stub. “Clear Sky, go to hell!” Smoke Stub abruptly leapt into the air, slicing down with Cleave to produce a massive sword-light akin to a rainbow. Clear Sky took a quick step back, raising his guard to block. If they clashed head-on, he knew that his strength would be on par with Smoke Stub’s. The other’s path of retreat had already been cut off, so if he could stall for just a little, Smoke Stub would be dead for sure. Clear Sky had just readied himself to stop the attack when he felt a cold chill behind his back. A certain person popped into his mind, Nirvana Flame! How did Nie Yan avoid being revealed by so many Priests and Paladins? This was impossible, like something out of a legend! If he was stunned from behind by Nie Yan, then received the full brunt of Smoke Stub’s ferocious attacks, he would undoubtedly die! So it seemed the two of them had already planned things out. Under the protection of so many Azure Falling Sky players, Clear Sky believed he was safe. However, he never expected his subordinates to be powerless as Smoke Stub and Nie Yan easily broke through them and arrived in front of him. “Mad Rogue, huh? Let’s see what you’ve got!” Clear Sky roared, giving himself another blessing, then striking out at Nie Yan with a Rending Blow while moving to evade Smoke Stub’s attack. His movements were extremely quick! Before Clear Sky could get off his skill, Nie Yan forcibly cancelled it by activating Intimidate. Clear Sky halted in place, and at this critical moment, Smoke Stub’s Cleave landed on his body and sent him skidding backwards. Just as the nearby Priest who was responsible for supporting Clear Sky raised his staff to cast a Heal, a silhouette appeared behind him. It was Nie Yan! Nie Yan interrupted the casting of the spell with a kick, then struck out with Vital Strike, slashing open the Priest’s throat. A damage value floated up above the Priest’s head before he collapsed to the ground. Just as Clear Sky regained his footing from being hit by the Cleave, Smoke Stub rammed into him with a Charge and sent him staggering quite a few steps back. Thanks to Smoke Stub’s precise use of the skill, he was pushed exactly to where Nie Yan was standing. Clear Sky, who was buffed with blessings, already had a health bar of over 1,000. Smoke Stub’s ferocious attacks had caused him to drop down to 300 health. Normally, Clear Sky always had a dedicated Priest by his side, while the other Priests were tasked with healing the other Azure Falling Sky players. However, that Priest was just killed by Nie Yan. So when the other Priests realized Clear Sky’s health had fallen low, it was already too late. Just as Clear Sky was about to cast a Lesser Heal on himself to buy himself some precious time for the other Priests to heal him, Nie Yan’s dagger cleanly cut across his throat. Clear Sky’s pupils suddenly constricted with an incredulous look on his face. He never imagined Nie Yan would quietly emerge behind at this time and deal him a fatal blow. Nie Yan and Smoke Stub’s teamwork was flawless. From the time Smoke Stub rammed into Clear Sky with Charge to Nie Yan delivering the finishing blow, only a few seconds had transpired. Many people had yet to process what just transpired. When everyone finally stopped what they were doing to look over, they saw Clear Sky’s corpse lying beside Nie Yan and Smoke Stub’s feet.